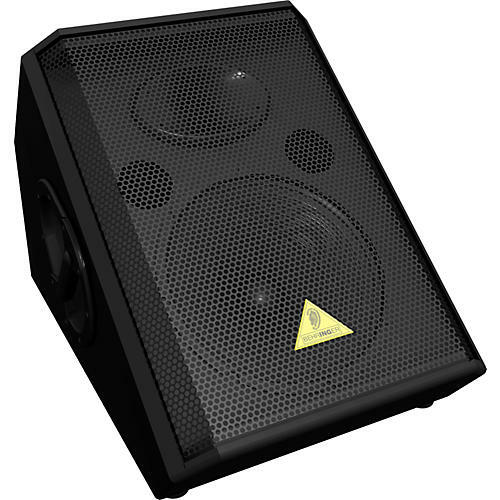 An affordable, lightweight, yet durable floor monitor that will faithfully deliver your sound. The 12" Behringer EUROLIVE VS1220F Floor Monitor delivers powerful, pristine sound from a lightweight, portable package. The EUROLIVE VX1220F serves conveniently as a component in an expandable sound system, with 1/4" input and output, and recessed handles. Its heavy-duty 12" low-frequency driver delivers defined bass and powerful midrange clarity while the proprietary dual electro-dynamic drivers cut through the mix with smooth, shimmering treble. This versatile Behringer loudspeaker brings you years of faithful sound reinforcement while ensuring your music is heard the way it should be. Wedge-shaped enclosure for perfectly aligned "sweet spot"
Start hearing yourself without spending big bucks. Order yours today.